With both Amnesia: A Machine for Pigs and Outlast released so recently, it might seem as though there wouldn't be room for another horror game. But the free browser horror game Catachresis fits neatly in between them. 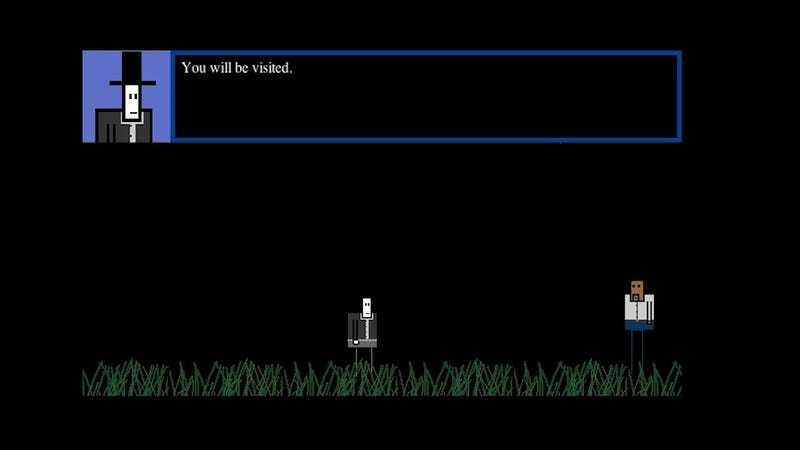 Developed by Cameron Kunzelman, Catachresis is a sort of linear story-game-non-game thing that combines the verbose, too-big-and-awful-to-actually-contain monsters of H.P. Lovecraft with the mysterious bureaucratic mess of Cabin in the Woods. The result is a short, intriguing experience that's as funny and odd as it is chilling and scary, despite the reactions from folks in the launch trailer. You can play the game for free here. It's not 100% stable, so I'd recommend playing in Chrome (I couldn't get saving to work in Safari) and saving your game often.